We hear a lot the dietary fiber is crucial for optimal elimination of toxins and regular bowel movements. But did you know that fiber also eliminates excess estrogen in your body? Insoluble fibre binds to excess estrogen in the digestive tract, which is then excreted by the body. Estrogen balance is essential for achieving and maintaining fat loss. In men and pre-menopausal women, too much estrogen can cause toxic fat gain, water retention, bloating, and a host of other health and wellness issues. In fact, excess estrogen is as much a risk factor for obesity. Of course, there is a number of reasons why you get estrogen dominance – an exposure to estrogen-like compounds in foods that contain toxic pesticides, herbicides, and growth hormones, use of birth control pills and HRT, digestion issues, stress, poor diet and lifestyle. Symptoms of estrogen dominance is too much fat around your middle section and difficulty losing weight. It might even cause breast and prostate cancer. So, you can see here how important your gut health is for a healthy body. Fibre is so crucial to remove all the waste out of your body. It is recommended that women from age 19-50 get 25 gram of fiber in a day. Good sources include wheat bran, corn bran, rice bran, the skins of fruits and vegetables (apples, pears, berries, tomatoes, eggplant, zucchini and carrots), nuts (especially almonds), seeds (particularly sunflower seeds), soybeans, dried beans, and whole-grain foods. Ask yourself at the end of the day, have I had enough fiber today? 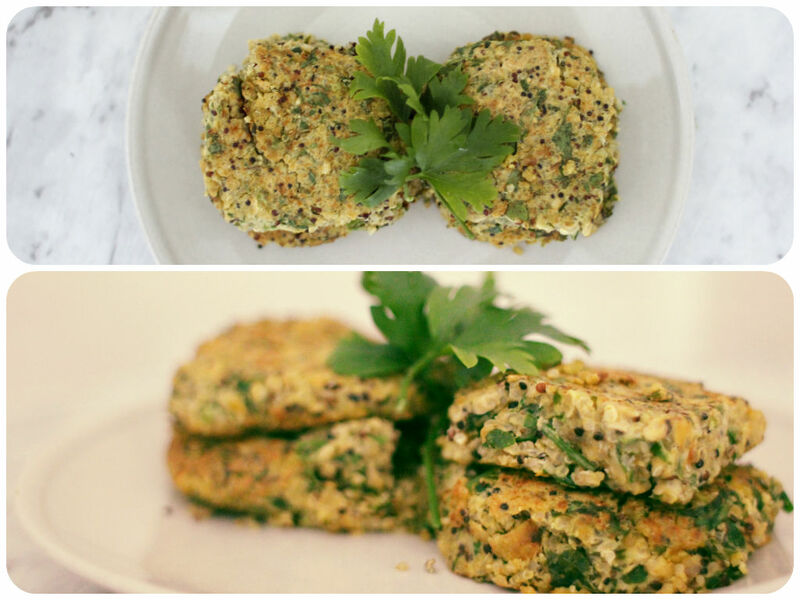 This quinoa chickpea cake recipe is packed with gut loving fiber. Even better with fresh greens on the side. Delicious! 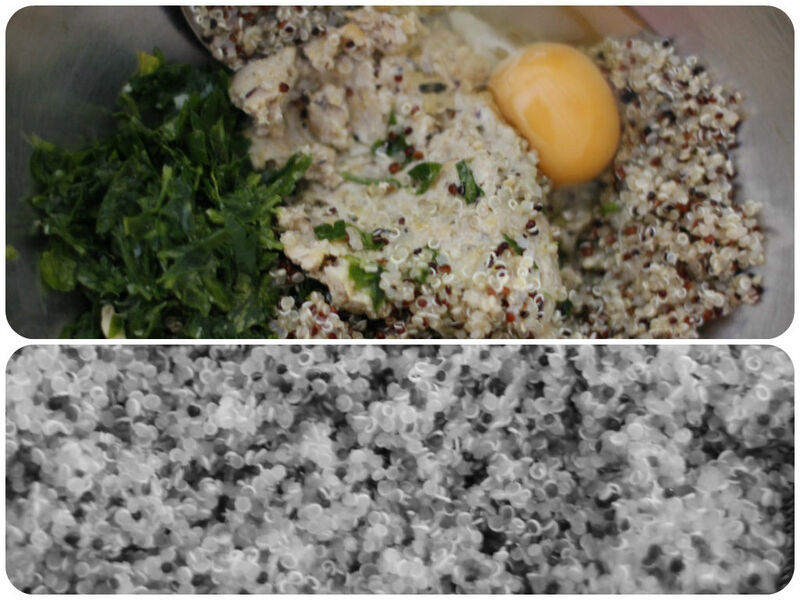 Rinse thoroughly and cook quinoa in a boiling water for 20 minutes or until cooked. Drain and set aside. Cook soaked chickpeas in a boiling water until soft and blend in a food processor until you get a paste consistency. Add all ingredients in a large bowl and stir to combine. Add a bit more flour if the mixture is too wet. Cover and rest in the fridge for 30 minutes. Take it out of the fridge and shape the mixture into little patties. Heat coconut oil in a pan over medium heat. Cook the patties for 2-3 minutes each side or until golden brown. Be gentle when you flip. Drain on a paper towel if needed.